Over the last couple of years, I have used pictorial cancels to mail letters to my family with a pictorial cancel for Christmas, Valentine’s day etc… But now as a result of buying the latest issues from Canada Post for my trading partners, I developed an excess of recent material. I have decided that I will collect Canadian Pictorial Cancels. 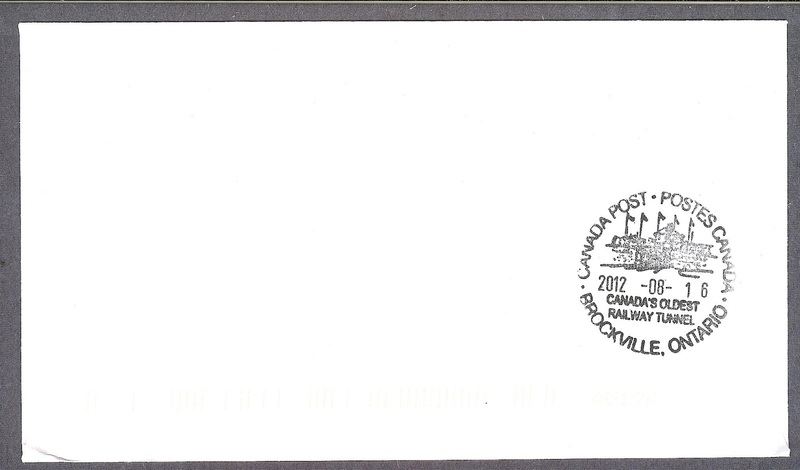 To begin with here is a cancel from Brockville, Ontario which is named after Sir Isacc Brock. 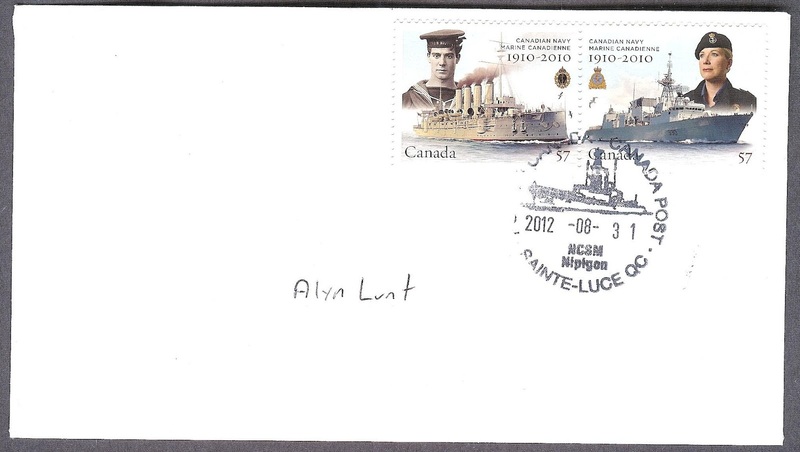 I used the General Sir Isacc Brock Stamp issued this year for the cover. 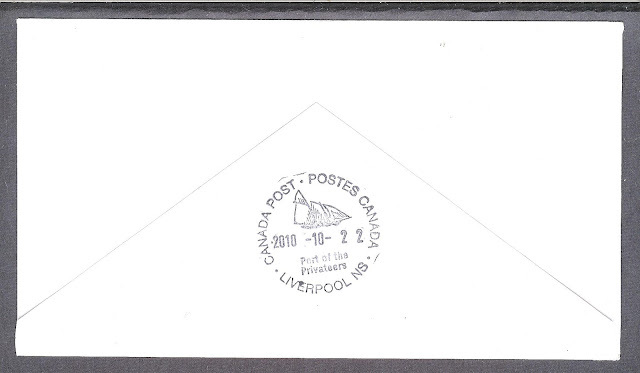 Here is the cancel from Liverpool, Nova Scotia. 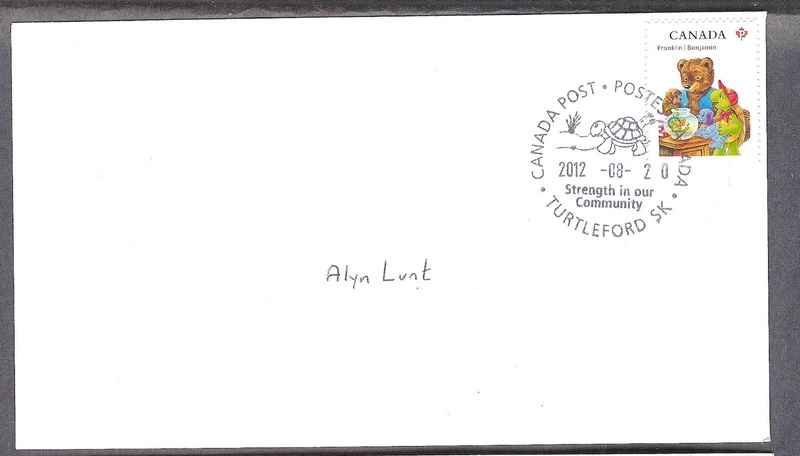 I wrote an article about it and you can find it here. Here is the pictorial cancel from Brock, Saskatchewan. It is another town named after General Brock. I had a bunch of 59¢ stamps from 2011 Parks Canada centennial issue so I am using them to get cancels from areas that are related to the Parks Service. First is Banff, Alberta. 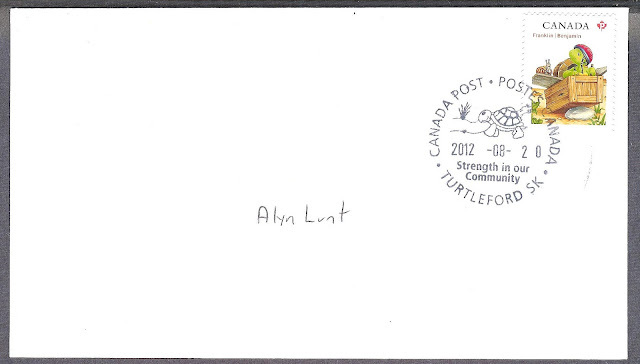 Next one is from Stirling Alberta. 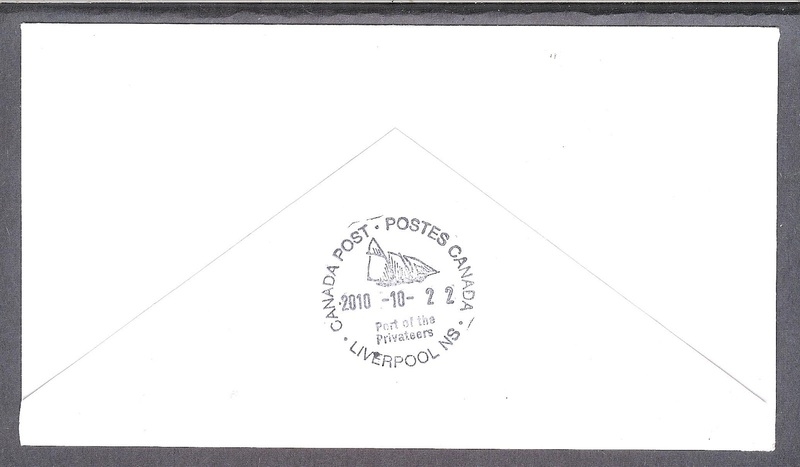 Here is one from Victoria, Prince Edward Island. 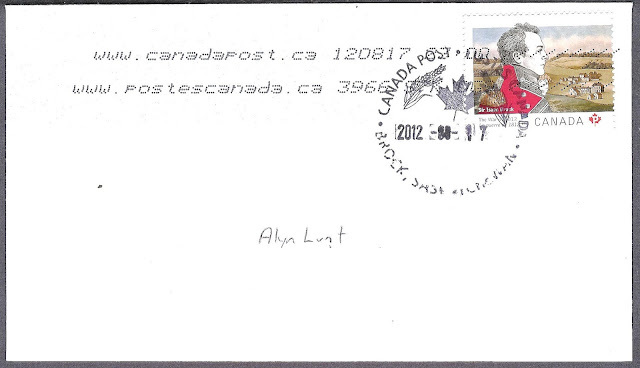 I used the Year of the Dragon stamps issued in 2012. 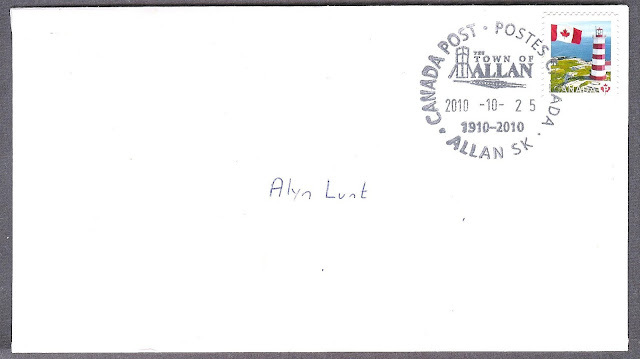 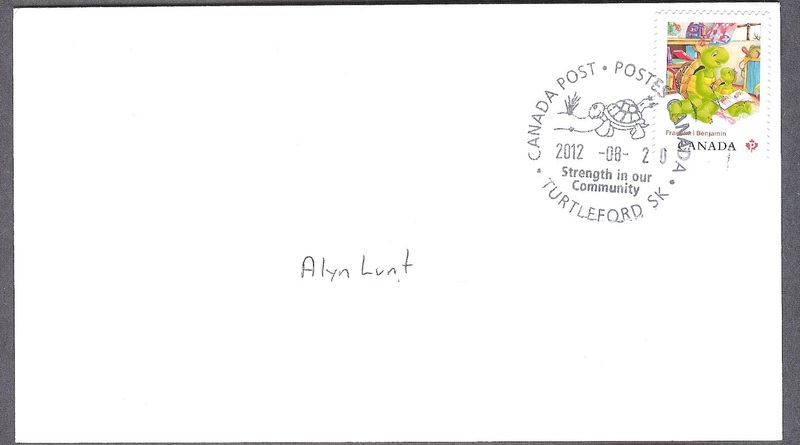 One of my favourites is this one from Allan, Saskatchewan but then I am partial to that name. 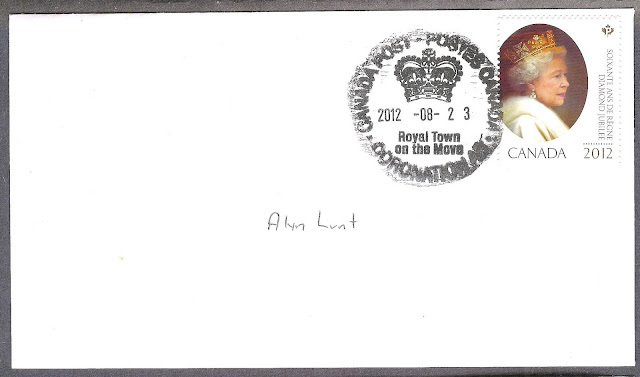 On Friday I received a couple of more pictorial cancels. 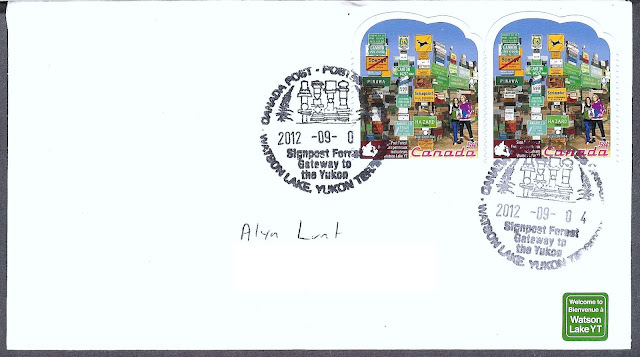 Waterton Lake, AB on a couple of National Park Centennial stamps. 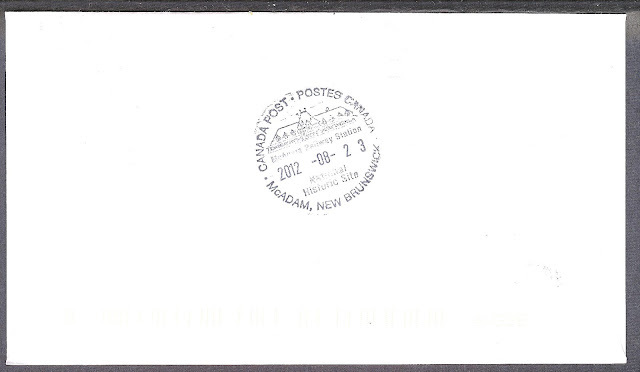 The second cover came from Tignish, Prince Edward Island. While browsing the list of available cancels, I came across Turtleford, Saskatchewan and thought it would be perfect for the recent Franklin the Turtle issue. 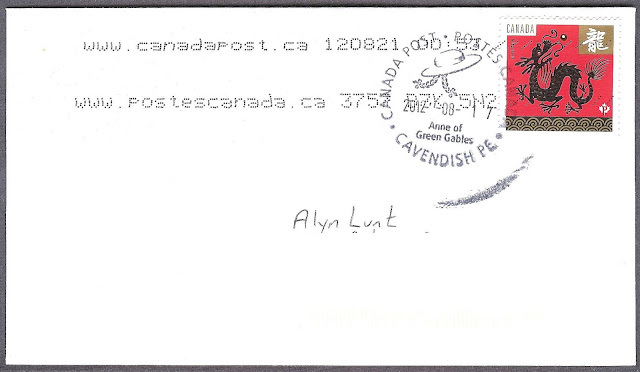 And Cavendish, Prince Edward Island arrived as well sporting an Anne of Green Gables cancel. 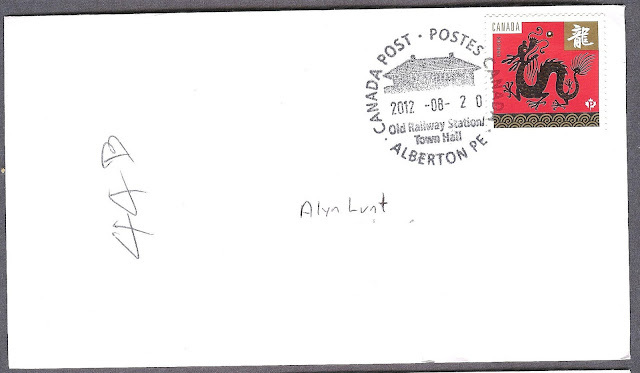 Here is one from Alberton, Prince Edward Island. A really nice cancel from Jasper, Alberta on 2 National Park stamps. 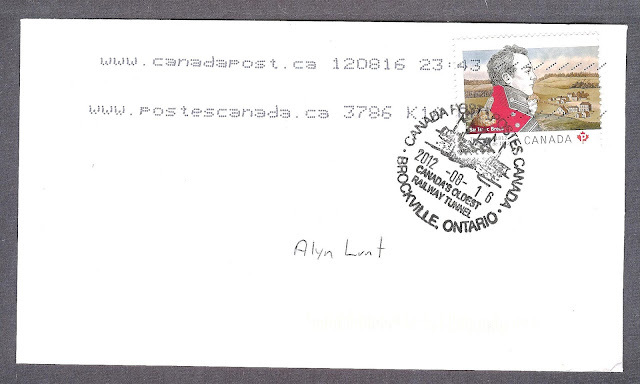 Manotick, Ontario has a wonderful pictorial cancel pictured here on a stamp with the same design. 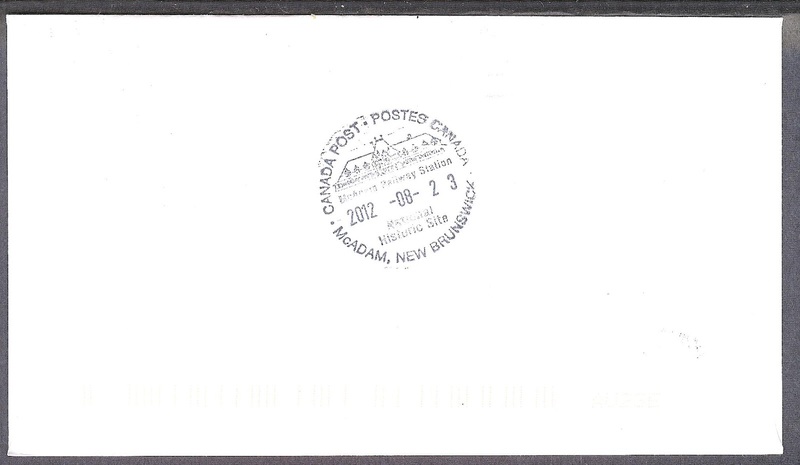 Next is a wonderful cancel from McAdam, Nova Scotia. 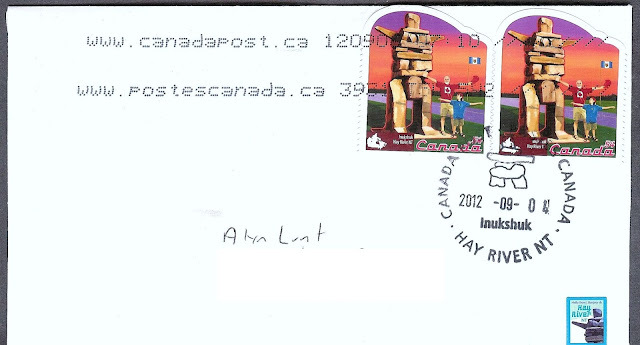 One of Canada Post’s best series is the tourist attractions and here are a couple of the stamps suitably cancelled. 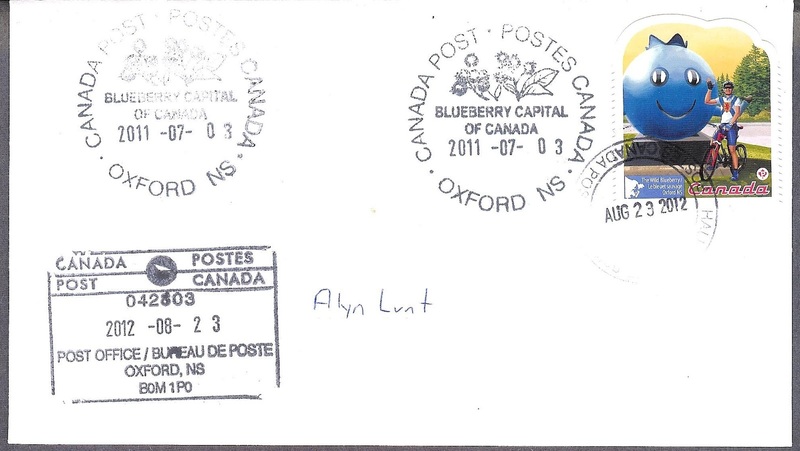 First Oxford, Nova Scotia. And one from Wawa, Ontario. 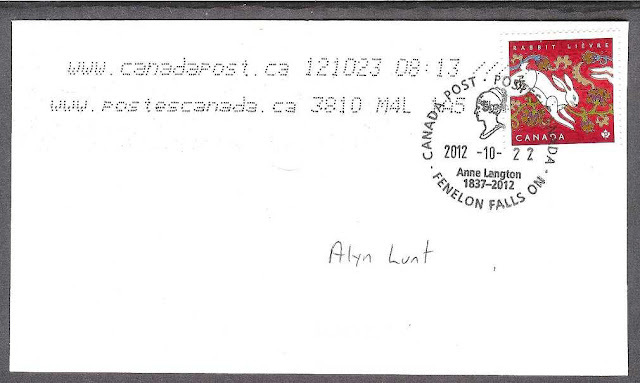 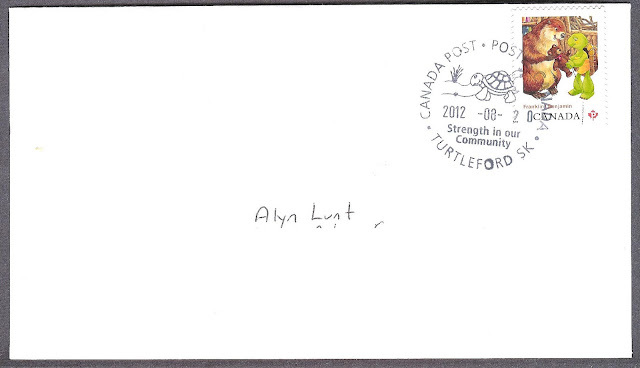 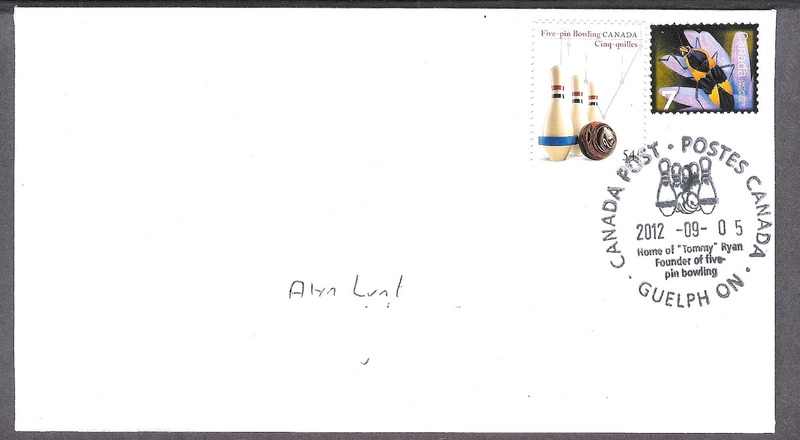 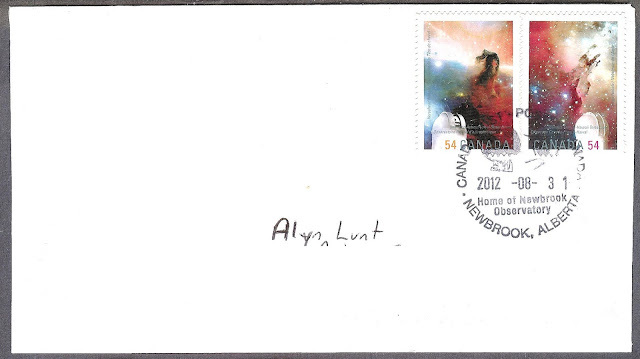 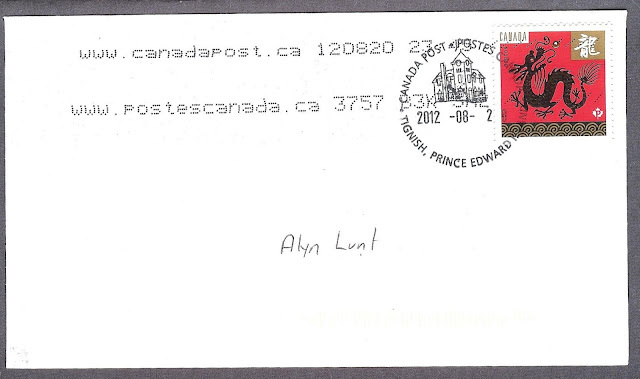 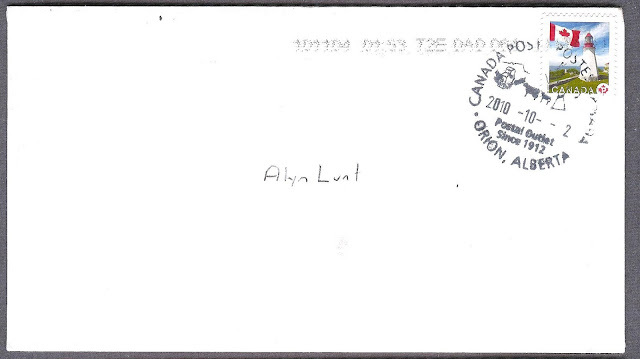 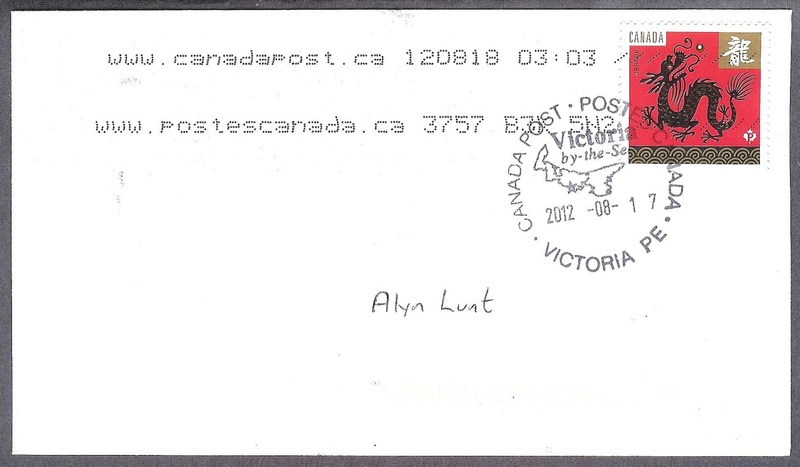 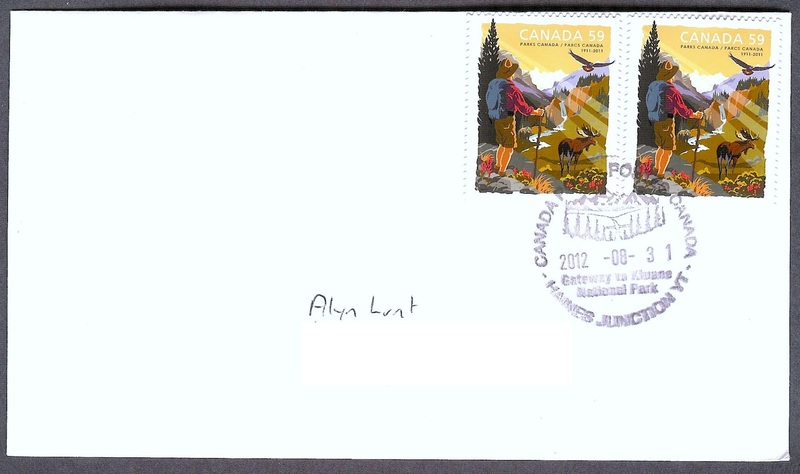 I just received my cover from Newbrook, Alberta. 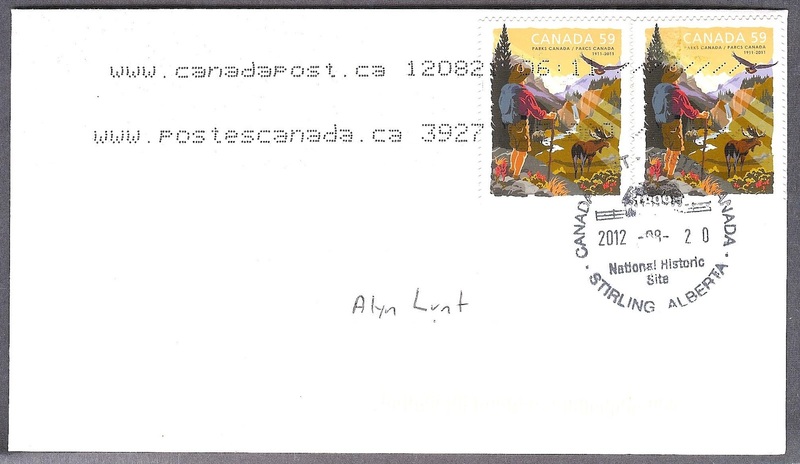 It is a great cancel featuring a telescope and a comet so I the pair of stamps issued for International Astronomy Year on the cover. 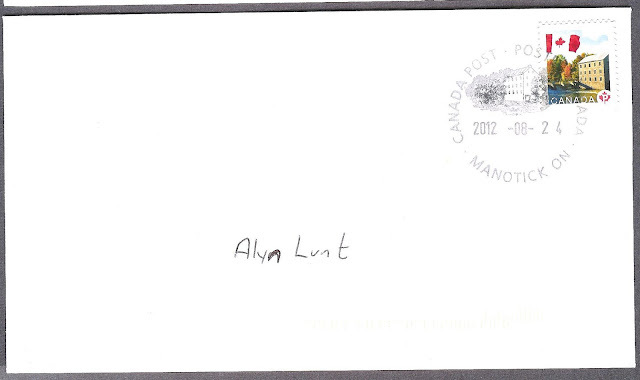 I also received the cover from Kensington, Prince Edward Island. I think it looks good. 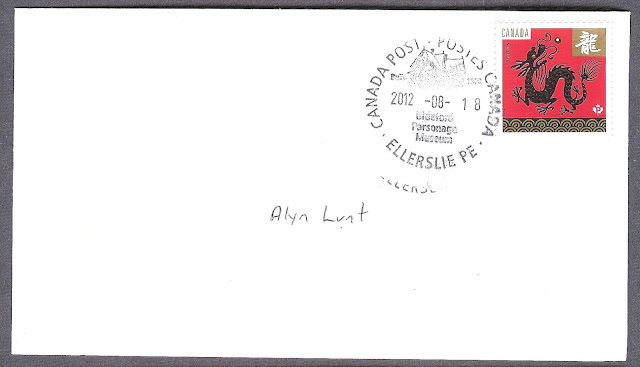 Another of my favourite cancels is from Sainte-Luce, Quebec. It features a likeness of the Annapolis class destroyer HMCS Nipigon. 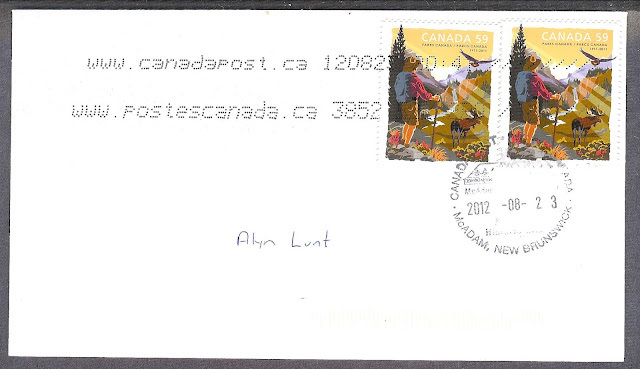 The latest cover that came back is this one from Nouvelle, Quebec, with 2 National Parks service centenary stamps. 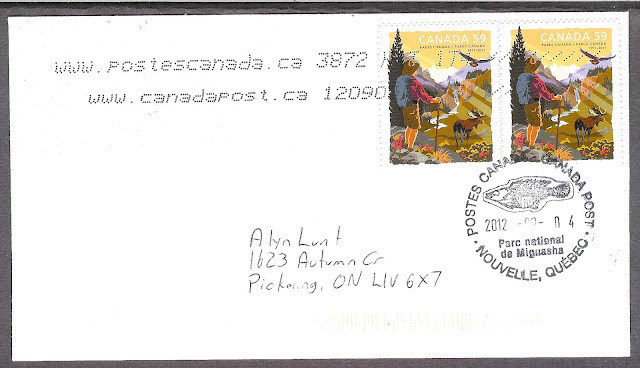 Today I received the Guelph, Ontario Cancel, I tied it in with an appropriate stamp. 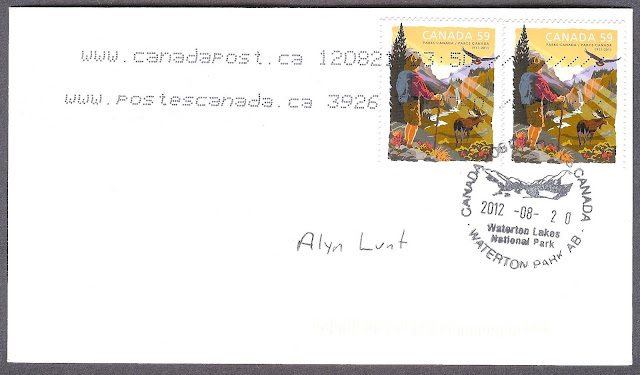 Here is a nice cancel from Watson Lake, Yukon Territory on a pair of stamps recognizing it’s Sign Post Forest. 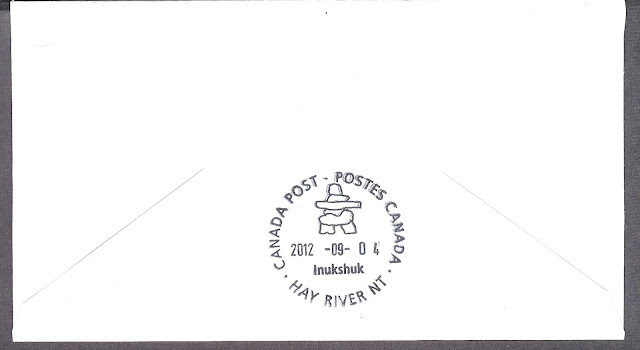 Next, we have one from Hay River, Northwest Territories. 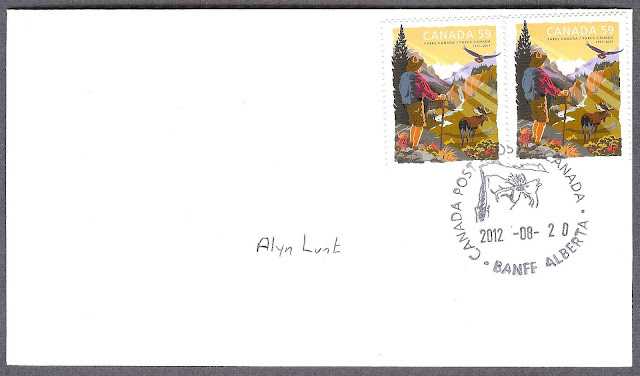 The next one, with the National Park issue ,is from Haines Junction in the Yukon Territory. 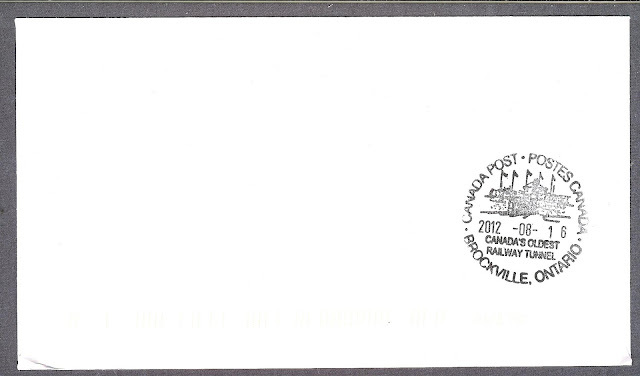 I received my cancel from Fenelon Falls, Ontario last week. 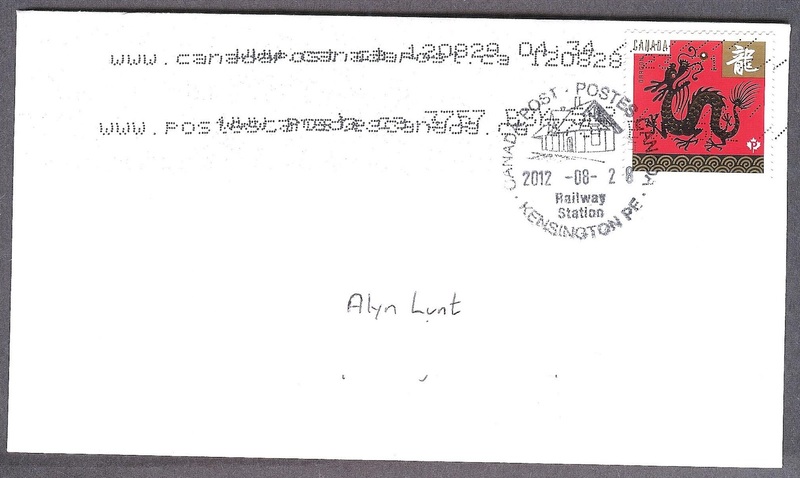 It is of the artist and pioneer Anne Langton. 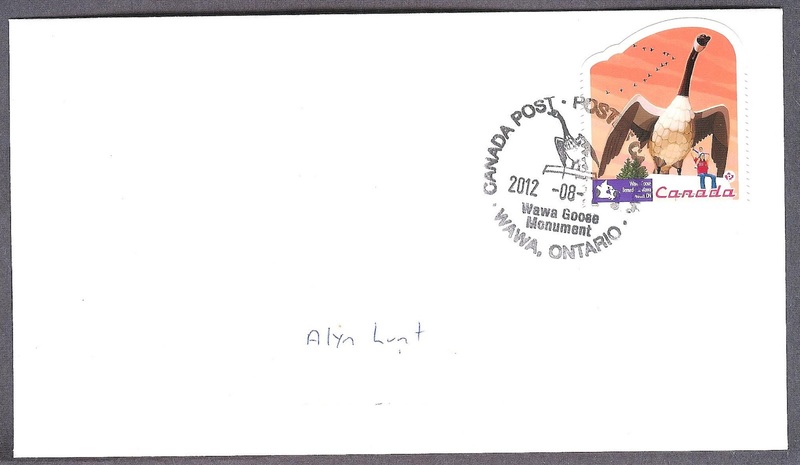 A list of cancels available from Canada Post is here. 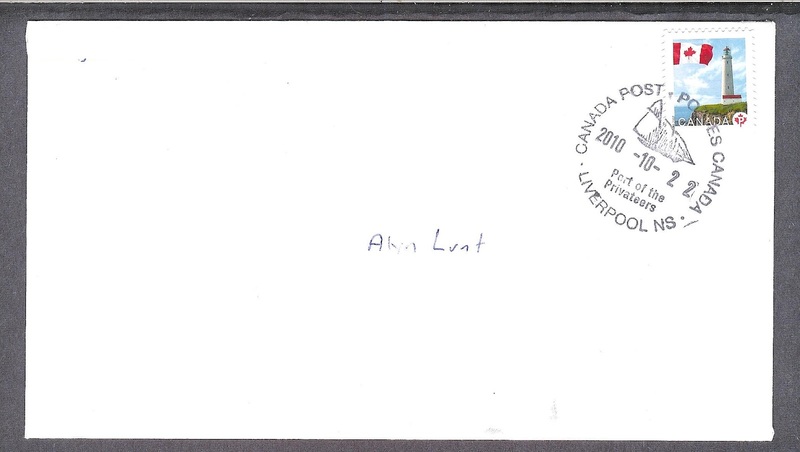 If you know of any more please let me know.